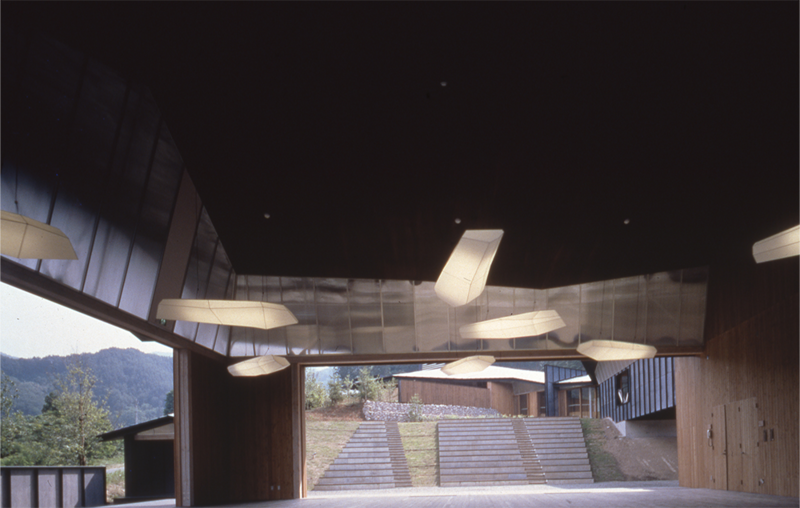 上田市農村文化交流館 / UEDA MUNICIPAL COUNTRY CULTURE HOUSE | 北川原温建築都市研究所 | Atsushi Kitagawara Architects Inc. 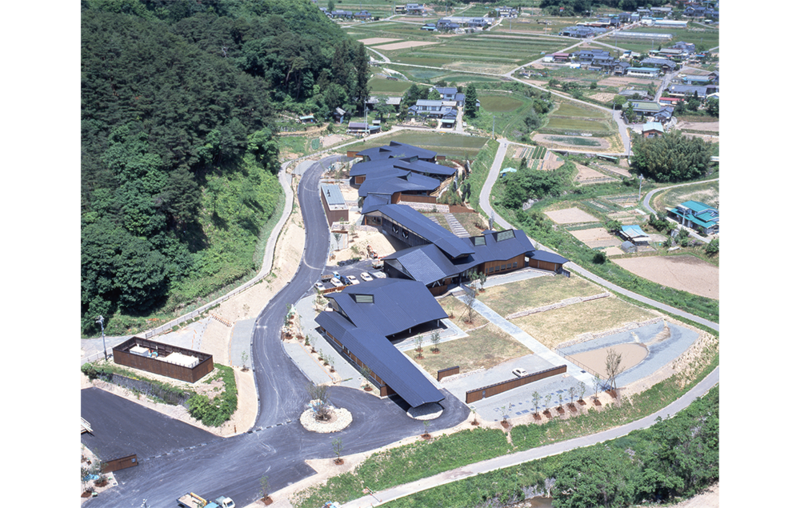 The region where this facility stands, The Muroga area of Ueda, Nagano, has a culture that still retains influences of medieval Buddhist culture. Festivals are based on agricultural worship, and rural stages (open-air theaters with roofed stages) still exist. On the other hand, in the realm of industry, the influence of urban culture is undeniable. Thus, here we can see a co-existence of rural and urban culture. The concept for this Country Culture House was to reflect the co-existence found within the region’s culture. This complex is characterized by motives originally from “Noson-butai”, local theatrical house and its facilities built at Japanese old farm villages, whose plays were popular at Shiota region in the course of the Edo era (17-19 century). 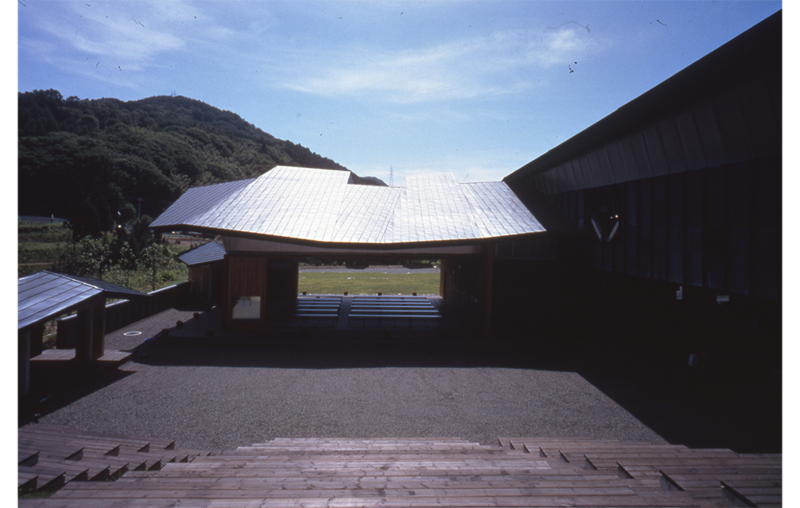 We explore the building form and design the amphitheater-type auditorium at indoor and outdoor stages so that local festivals and Takigi-noh (Noh play presented on outdoor stage) can be performed. The continuous roof, in its blackness and darkness, symbolizes an homage to the rural, while the functional and hierarchical structure supporting it mirrors the influence of the urban. Traditional elements of the rural landscape were disseminated throughout the site to suggest the presence of rural scenery.